Newly released details from her personal papers reveal that former first lady Barbara Bush laid out her thoughts on abortion in the 1980s, while her husband was running for president for the first time. She did not release these personal musings for publication during her life, nor share them in any of her many press interviews. These opinions on abortion came to light when Susan Page was given permission to read through Bush’s private papers as Page researched a biography. 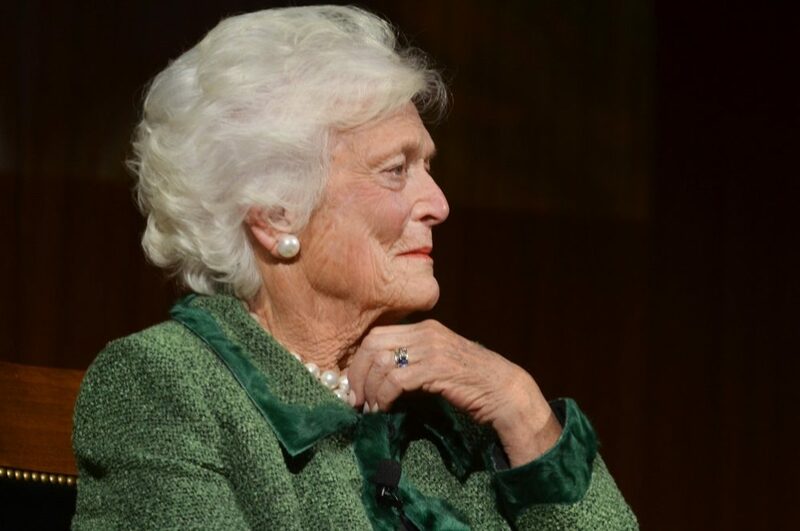 Bush’s diaries and papers were donated to the presidential library named after her husband, meant to be held in reserve and privacy until 35 years after her death. Page was allowed to make notes of what she read, but not photograph the content. She was to meet with Bush again to discuss her research in these archives, but Bush fell and later died before they could. The question of when the soul enters the body is an important one to Christians and faithful believers of many other religions. Parents, grandparents, and other people close by when a baby has died in stillbirth or miscarriage are often deeply concerned about this when they ask if their dear baby is in Heaven. In Bush’s musings on whether abortion is murder, she reportedly did not consider these children, their fate, nor the distress the idea of unborn babies being soulless would cause families. Neither Mary, the mother of Jesus, nor Elizabeth believed that they were bearing soulless babies, waiting to be born to become fully human. These babies were clearly ensouled and conscious beings while still within their mothers’ wombs. It is clear that Barbara Bush formed her feelings about abortion with little knowledge about what the Bible says about the soul. Very likely, personal tragedy also played a role. The Bushes tragically lost a three-year-old daughter to cancer, and that loss weighed into her writing on this subject. There is grief here that as a mother myself I want to respect and not minimize, but also as a mother I have to note that each of my children has been just as vibrantly alive, as different from a plant or an animal, before they were born as after. The moments before a baby is born when a mother can feel them moving, where it’s clear that they’re responding to touch, to sound, to spicy food or too much caffeine, makes it very difficult for me to understand not seeing them as people. Each of my children had clear and different personalities before they were born, being calmer or more restless, more active or sleepy, and those traits follow them as children and teens now. The moment they were born didn’t change them into people—they were people already. So this experience is available to mothers of children, even those who don’t believe in Christianity like many in the Bush family profess to have. In language that would now be very anti-feminist, Bush also notes her possible solution: “Education is the answer. I believe that we must give people goals in life for them to work for—Teach them the price you must pay for being promiscuous.” Finally, she also included this subject, “Needs lots more thought.” Whether she thought more about this later and wrote those thoughts down, we will have to wait to learn for the rest of her papers to become public, in 2053. Bush’s thoughts on this were likely deeply tied to the difficult and painful experience of losing a child. However, her thoughts in no way mirror Christian teaching or the experience of many mothers with their unborn children’s personalities. The unborn hear, they are formed and planned by God, and can have saving faith. All of this means they have souls. Since it’s the very lack of soul that Bush hinged her conclusion on, her ideas form a flawed and misguided apologetic for abortion.